Hi loves! 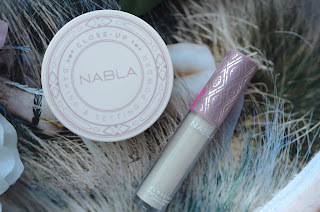 I have been testing out the Nabla Close-Up Collection and I'm here to share my thoughts with you! I bought the bundle and its was 63.44 euros. Everything is available separately as well. And their products are cruelty free. 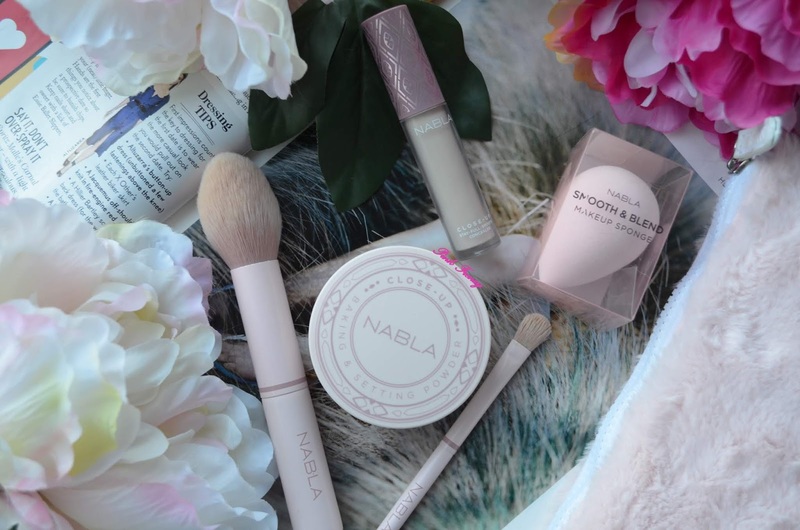 The collection contains fuzzy makeup bag, powder brush, concealer brush, makeup sponge, setting powder and concealer (available in 9 shades). The makeup bag is so cute! 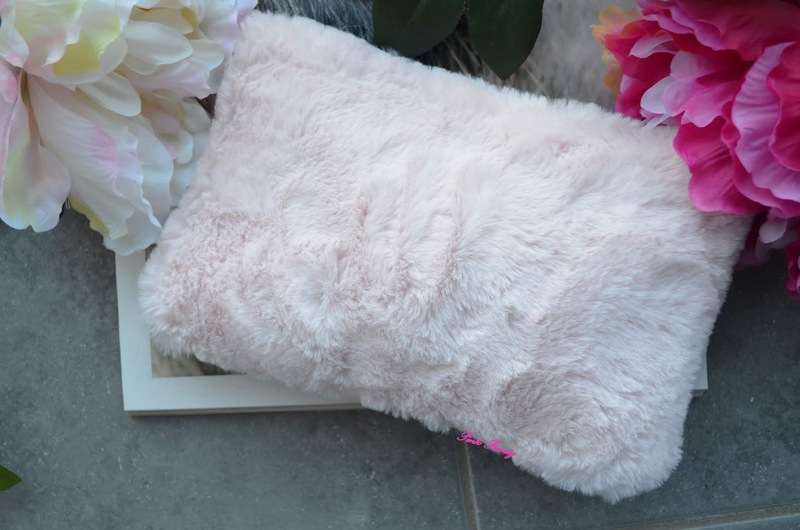 Its fluffy bag and its light pink shade, like all the collection. The fabric inside the bag is the same as the outside packaging of the powder and concealer (you can see it in the video). It has a white zipper, which goes well with the rest of the bag. And the bag costs 12.90 EUR on its own. 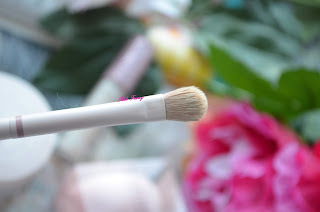 The powder brush is 14.50 euros and has synthetic bristles. I love the light pink handle and it has some weight behind it. 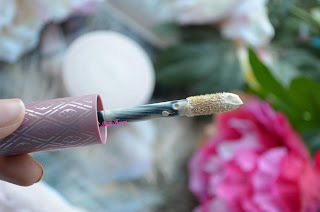 This brush is perfect to set the under eye area and its so soft. I don't like it to set all my face with it, but for the under eye area its perfect and I use it to apply my Givenchy highlighting powder as well. The concealer brush is 9.50 euros on its own and its made with synthetic bristles as well. It has light pink handle and the quality of it seems high. 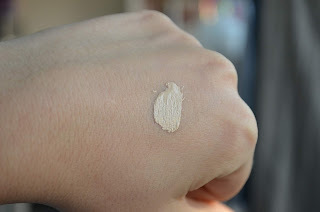 I haven't used it much, because I like to blend the concealer in with my finger or a sponge. The times I have used it, it has done a great job. Its a soft brush and it helps to applying the concealer where I want it. The last application item in this collection is the makeup sponge, which is 8.50 euros. It blends in the concealer very well and I love to apply my foundation with it as well. 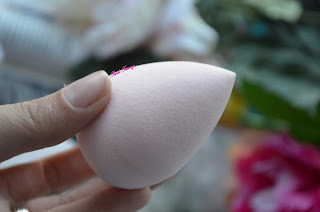 Its the same size as the beauty blender, but more tense. I wasn't sure in the beginning I'll like it, but its awesome sponge, blends in my foundations and concealer effortlessly and is cheaper then beauty blender. 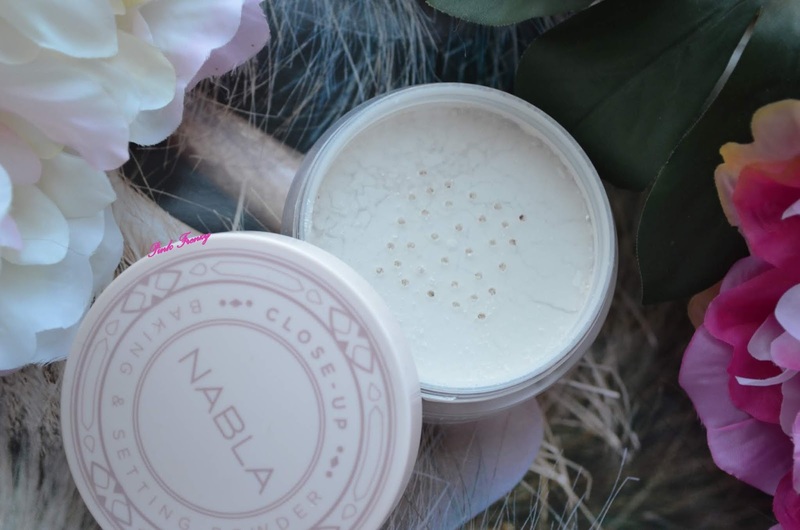 The Close-Up Baking and Setting Powder is 18.00 euros, contains 30g of product and its translucent. It comes in a light pink packaging. The cap is light pink and the jar itself is clear, but frosted. It fits all skin tones and skin types. 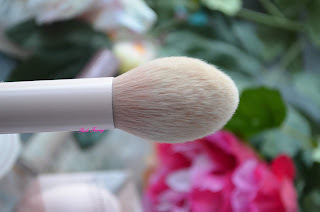 It leaves the skin velvety smooths and I feel I need to use less powder when I use it. 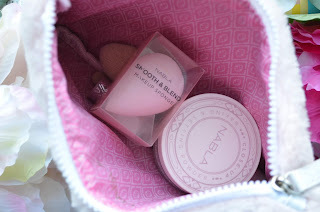 There is a light scent to the powder, which I'm not a fan, but I like the results more, so I'll continue using it. Also this powder makes my makeup last longer. I don't get oily as fast. I have the Close-Up Concealer in shade Porcelain, its 15.90 euros, contains 4ml of product and comes in 9 shades. The concealer comes in a clear tube and has a bigger doe foot applicator. I love the pattern on the cap, which is the same as the pattern inside of the makeup bag. The shade Porcelain is bit too light for me, but I still like it. It has a coconut scent to it, which I like and it reminds me of summer. Its full coverage concealer and it hides my not so cute under eye area very well. I don't even need to color correct. You can see it preform on the demo video, which is down below. It also last all day and it is bit drying, but not too much. It doesn't make my under eye area feel uncomfortable (I have very dry under eye area). I'm very happy with this collection. I love the quality of the products and the price point. I find Nabla always is fair with the price of their products and the quality is high. I'm so happy with the long lasting concealer and the powder is brilliant and makes my makeup last longer. 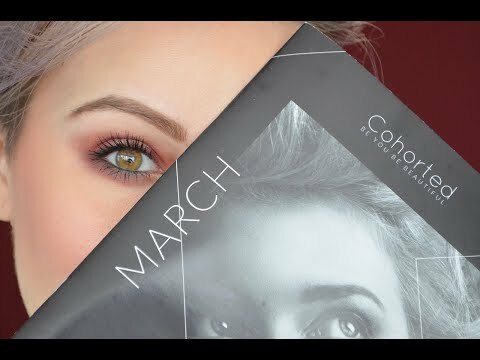 I hope next they comes out with a foundation :) If you wanna see how everything applied you can watch the video down below. If you are interested in this collection, you can find it here. They sell it as a bundle or you can buy items individually, what interested you. Have you tried their new collection? 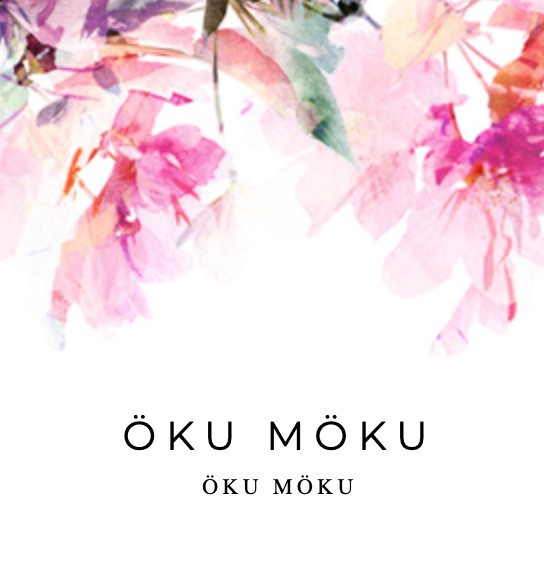 This is a brand that has been popping on my radar recently! I really need to try something from them. ps: That bag is too cute! Fantastic products dear, thanks for sharing. Those brushes look so nice!! I love the fluffy makeup bag.